The UB-101 is an USB 1.1/2.0 Extender kit over CAT5e/6 cable. The kit contains two units, the local (Transmitter) unit and the remote (Receiver) unit, which are interconnected with CAT5e/6 cable. Compliant with USB 1.1 and 2.0. Extend self-powered and bus-powered USB peripheral devices (security cameras, printer, scanner, keyboard, etc.). 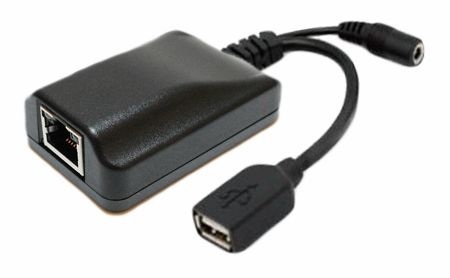 Extend to 100 meters for USB 1.1 device. Extend to 50 meters for USB2.0 devices when bus-powered, 100 meters when self-powered. Support a variety of low-speed and full-speed devices. Supports Windows 7 and LINUX operating systems. Cable Use CAT5e or CAT6 UTP straight through cable for TIA/EIA-568B wiring terminated with standard RJ45 connectors (not included).